We do a lot of fabric banners for research posters, but this order came in for a company whose salesman wanted something he could fold up for traveling, and then hang up for display. 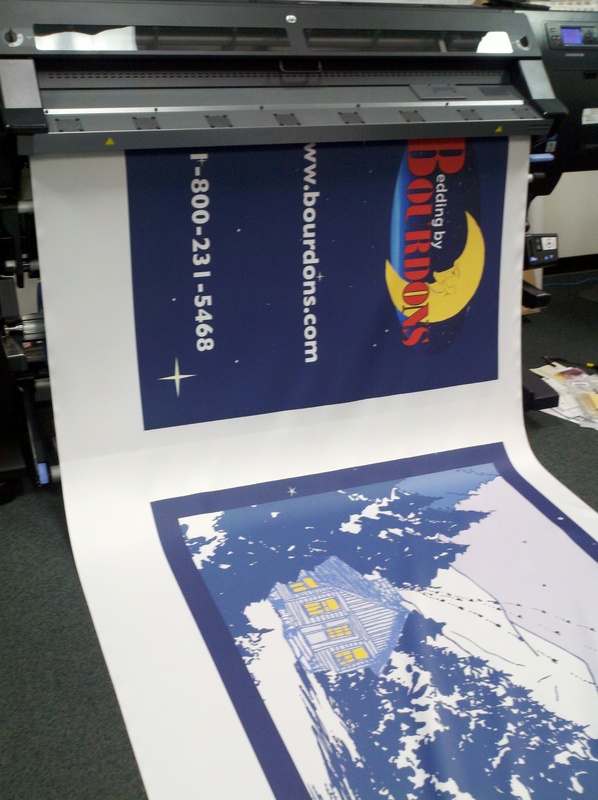 We chose to print on our tri-poplin fabric with our new Latex printer, which does a fabulous job on fabric. We hemmed the edges with heat applied tape, and put grommets around for hanging. Maybe this is the next big thing for local trade shows! Fabric banners look great, and they can make a show easy to do! We really like the way fabric looks compared to vinyl- it hangs straight and doesn’t show crease marks where it was folded. This entry was posted in Trade Show Graphics and tagged cloth banners, fabric banners, fabric trade show. Bookmark the permalink.